Jesteś tutaj: Home » Wydarzenia » Dzisiaj wybory do parlamentu irlandzkiego. Chcesz wiedzieć, jak na sprawę integracji patrzą partie polityczne kandydatów z Twojego regionu? Dzisiaj wybory do parlamentu irlandzkiego. Chcesz wiedzieć, jak na sprawę integracji patrzą partie polityczne kandydatów z Twojego regionu? Odpowiedzi otrzymaliśmy od 4 partii politycznych. Przedstawiamy je poniżej. 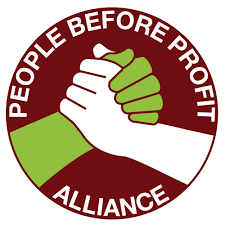 Dziękujemy Fianna Fáil, People Before Profit Alliance National, The Green Party i The Labour Party za czas poświęcony na przygotowanie odpowiedzi i doceniamy zainteresowanie tak istotna kwestią jaką jest integracja imigrantów w Irlandii. Answer to question: What part of your election manifesto or your party programme addresses migrant integration issues and what if any immigrant-focused integration plans are included there. Fianna Fáil about immigration and integration policy. We believe immigration has been a hugely positive experience for Irish society over the past 20 years. 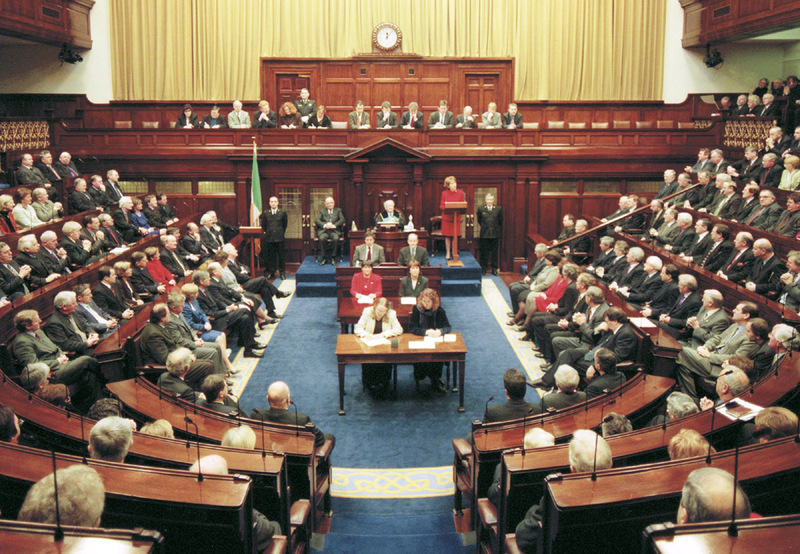 With specific regard to the Polish community in Ireland, as you will be aware that Fianna Fáil was in government in 2004 when Poland joined the European Union and along with Sweden and the United Kingdom, Ireland was one of three EU states to offer full and open access to the labour market. Furthermore notwithstanding some parties suggesting a work permit regime during 2006, we stood by that decision. Twelve years later we remain fully welcoming and supportive of the Polish community in Ireland. While issues of integration have not had the public prominence they had in the years 2004-2008, Fianna Fáil believes that this absence is perhaps testament to the successful integration of the new Polish community in Ireland. Fianna Fáil welcomes the appointment of a minister of state with specific responsibility for new communities – and if in government after the election will be fully committed to its retention. Full integration of new communities into Irish society must be provided for by the state in order to ensure that immigrants to Ireland have the same opportunities as Irish people who reside here. We find it regrettable that almost two years after the announcement of a review of integration policy in the state, we have yet to see a new policy being published by the Government. Much was made at the time of the fact that a Cross Departmental Group on Integration was reconstituted with a mandate to review the activities being undertaken by Government Departments and agencies directed to promoting the integration of migrants. It has been said that the Group is preparing a Draft Integration Strategy taking account of the policies and actions already being implemented and undertaking consultation with key stakeholders. We will ensure that a new sense of urgency is brought to completing the review. On the issue of migrants and refugees from beyond the European Economic Area, and with particular regard to the crisis in Syria, we believe that the unprecedented levels of migrants and refugees fleeing war torn regions in the Middle East and North Africa presents a serious humanitarian and political challenge to Europe. Ireland must play its part in assisting those in need of refuge at home and in providing help on front line camps. Refugees based here in Ireland and the communities they are placed in must be afforded the supports they need to fully integrate into Irish society. We will stand with others in fighting against the extremists who are using this crisis to promote fear and distrust between groups. We will insist that Europe remain true to its democratic and inclusive values. Our manifesto provides a shortened version of our wider policies and tends to focus on specifics. Economic: We favour the full recognition of qualifications gained in countries like Poland. We are opposed to any discriminatory policies at workplace level on pay, promotion or conditions of work. We are for more rapid hearing of cases by equality agencies and a compulsion on employers to pay up promptly when awards are made against them on grounds of discrimination. Social: We are for more state support for language classes. At local level, we favour active measures to develop a local community spirit. We believe that struggles such as those over water charges have contributed to the revival of a stronger community spirit. Political: We encourage migrants to take an active part in the political process. We welcome their participation in our local branch network. Yes there is an issue with EU citizens applying for naturalisation. We would review the overly high fee for naturalisation that would discourage Polish citizens from applying for naturalisation. There is a risk that if not enough EU citizens naturalise then their voices will not be heard at general elections. embraces new communities from across the world. We need appropriate integration structures to assist in social cohesion. Labour in government has worked with Migrant Groups to look at new ways to develop better integration practices. We also established a nationwide Polish–Irish festival recognising the unique position of the Polish diaspora – one of the largest ex-pat communities in Ireland. The implementation of the new National Integration Strategy will be a key priority for Labour in the next government. We will create local integration strategies and guidelines for all community groups in receipt of public funding. The new strategy will look at ways to encourage participation in public life, including politics, for migrants and their families. The Labour Party will introduce, on a one-off basis, an earned regularisation scheme for undocumented migrants living in Ireland. This scheme will be both pragmatic and fair and will be developed in consultation with migrant NGOs and the relevant government departments within the lifetime of the next government. Ensuring a fair and humane system for asylum and refugee applications remains a core task. In government Labour has overseen the publication of a report into the Protection Process including the Direct Provision System. This report included 176 recommendations some of which we have begun to implement including the waiving of prescription charges for those living in direct provision and increasing the rate allowance paid to children living in these centres. We have also introduced a Protection Bill which will see new applications for asylum processed more quickly to ensure people are not left living in limbo for many years while their application is pending. If re-elected we will continue to implement the recommendations within the report to ensure that those seeking asylum are treated with dignity and respect whilst they await the outcome of their application. We will also continue to work on developing comprehensive immigration legislation, which is transparent and clear for those wishing to work and live in the state. 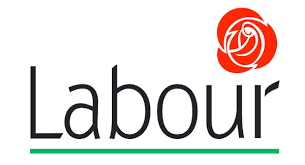 Our Youth Section Labour Youth does not have a separate manifesto but it does have a very strong track record of inclusion and seeking to involve people from our new communities in their structures and activities. We would hope that all of our manifesto will be of interest to your community but specifically as per your letter I would refer you to pages 90 -96.